“Why shouldn’t I hand my baby toys… or at least move them within his reach?” a mom in one of my parent/infant guidance classes asked. I had gently suggested she leave the toys as I had originally placed them on the floor rather than move them closer to her 6 ½ month old, who lay prone. He had rolled from back to tummy, but otherwise wasn’t mobile yet. 1. When babies are playing, it’s next to impossible for us to know what they’re really up to unless they show us by “doing it”. For example, observing this 6 ½ month baby (who was facing away from his mom and towards me), I could see that he was not looking at the toy she was about to give him. He was looking across the room at something else. I’m not sure what he was focused on, but that hardly matters. So, amazingly, by the innocent act of handing a baby a toy, we send discouraging messages that can hinder development and create unnecessary dependencies. We also rob children of the invaluable opportunity to feel competent and experience mastery. This is the infant “need” few experts recognize or acknowledge, but it is at the heart of Magda Gerber’s Educaring approach. More than forty years ago Magda Gerber espoused the vision of infants as competent people to whom we should demonstrate our respect and trust. We should believe in babies – trust them to initiate engagement with us and the world, explore, learn and develop at their individual, intrinsically motivated, self-chosen pace. It is this model of competency, this power she advised us to bestow on our babies at birth that has always set her infant care approach apart. 3. Passive (rather than electronic), open ended toys and objects. 4. Frequent, regular opportunities for uninterrupted, child-led play. 5. Observation. This is the key to understanding the difference between our thoughts, feelings and intentions and our child’s. 6. Patience, acknowledgement of feelings, minimal intervention. 7. The understanding that young children enjoy “getting there”. They are fully engaged in process and do not need to achieve goals to have a profitable experience. An experience that might seem “incomplete” to us is usually “enough” for our children. We are the ones who unwittingly teach babies that they should “finish the task”. Yes, of course we should help, but in a manner that supports and encourages continued attempts at mastery. This means acknowledging feelings (“You are working very hard and seem to be getting frustrated”) and offering breaks (“Do you want me to pick you up?”) or minor assistance (for example, subtly moving the toy a teensy bit closer, or lifting a chair so that the child can retrieve the toy that has disappeared under it). We can never go wrong when we resist the “fixes” that are so easy for us and instead choose patience and trust. Then we open the door for our children to not only fulfill their need for mastery, but to also surprise us, amaze us, make us proud. They need to do those things, too. For inspiration, here once again is the must-see video from “Don’t Help This Baby”…. I love the video…and how you can see “Dear Parent” in the background at the end. Wow so much patience, determination and focus. Love the video but the baby is perfectly calm. I’m more apt to help hand the baby the toy if he’s crying out, screaming, or getting discouraged. What’s the best thing to do in that situation? When babies cry out, scream or otherwise seem discouraged when facing a challenge like this it is usually because they either tired, hungry or in pain (teething, etc. ), or they are used to being handed the toy. So, I would do as I suggest in this post…acknowledge the feelings, offer a break and if the baby indicates “yes”, I would pick her up and then try to figure out if she might be tired or hungry. The only time I offer babies toys is when I believe they need one for teething. Then, I offer two teething toys and let the baby choose one, so that the child still gets to be autonomous. I had the same question, but especially in the case of an infant who is in no way mobile. Is it best to simply not place toys of out of reach, then? And in that case should a choice of toys be offered? Or should toys be placed out of reach and the infant provided breaks when frustrated? As I mentioned to Jesyka, I would only offer teething objects if the baby was clearly teething and getting frustrated about that. So, once your baby is used to being handed the toy, how do you break that habit? Now it does seem that she is not inclined to try at all when a toy is just out of reach. Jamie, I would just let go of this being an issue at all and allow her to do what she is able to do. If that can be “enough” for you, it will be “enough” for her, until she has a self-initiated interest in reaching the object. If she gets upset, assess her needs, offer her a break, and then try again later. I am newly pregnant (due in March!) and my good friend sent me the link to your blog and I LOVE it. I can imagine and visualize my husband and I raising our baby in this manner. However, the more articles I read here and as each one resonates with me, the more worried and sad I start to feel about the fact that I will need to put our child in day care starting at six months old (we are both teachers and can’t make ends meat on one paycheck 🙁 I will be able to take the last four months of the year off and the two months of summer off). Do you have any suggestions about how to do these things when the child isn’t with you all day every day? If they don’t get this kind of environment at day care all the time but are picked up at 4pm each day, can you still make progress in the time you have with them or does this end up confusing the baby? For example, if they are handed toys at daycare and then you don’t hand them toys at home I would think this would confuse and upset them. Ugh. Any suggestions or thoughts??? Hi Stephanie! You and your husband will always be the most influential people in your baby’s life, so yes, you can always help balance the other influences in her care. But childcare is an extremely important decision and I would look long and hard to find one with the approach you want for your child. RIE is much better known in the professional childcare community than it is among parents, so I would seek out a place that is at least “RIE inspired”. If you contact the RIE Center in Los Angeles: 323.663.5330, they might be able to direct you a center in your area. Hello Janet, I have enjoyed following your postings and all the resources they provides. I have nominated you for an award – The Versatile Blogger! Please head on over to my blog ~ Country Fun to get your award. I look forward to sharing ideas with you in the future! Have a great summer! This is so profoundly respectful for the way babies learn, and truly, the way all of us learn at any age. What infants and toddlers master as they become mobile, speak, and adapt to the culture they’re born in is nothing less than extraordinary. Yet we have the idea that we must, at a certain point, start “handing” them pre-planned units of learning, and call this education. When we diminish the full sensory input of discovery-based, hands-on, meaningful learning we diminish what a child can truly accomplish. I really wanted to cheer for Ruby when she got the toy! What is the appropriate response when our little ones achieve something after working so hard? “You did it!”? Or is it not always a good idea to say something? Great question, Caitlin. “You did it!” sounds good, but even that could be jarring if the baby is still focused on her activity and not looking to you for a response. The key is to observe sensitively, be responsive, but try not to interrupt the flow of activity. We are incredibly powerful and interruptive. Who knows what the baby might do next if we stay out of her way? I love this post Janet! Especially how you provide some gentle guidelines on how to offer the support and opportunity for infants to ‘try’ and succeed. I find this approach especially important for parents with children with high or special needs, especially the bit about “Observation.” It is so easy to assume a child with special needs can’t do, rather than Observing and discerning our own beliefs from what the child is actually capable of. In this way, I think we are actually able to honestly create a situation to support what the child can do so that she can do more. Hi Janet, I loved this! I think the “quietly observe” state is a difficult one, yet so important. So much of the time parents are expected to “do” for their kids, in such a fast-paced world, yet “not doing” is really the key. I have to say that this has become much easier as our son has gotten older. What are your thoughts on the first 6 months or so of life when crying is something babies do an awful lot of? Knowing when to be there, to comfort and help calm in a situation vs. waiting and observing… I think this is very challenging. What about giving a baby a toy as redirection from something she shouldn’t have? Our house is pretty child-oriented but it is also where adults need to function so there are things that the baby might reach (once, before we move it out of reach for the duration) that I need to take away from her. I always suggest our toddler give her something if she’s taking what he’s playing with, and I try to do the same (“trade”). Certainly my suggestion is powerful in this setting! Love this video and post. I am struggling as I have since birth passed my baby everything (I didnt know RIE then so i am catching up). My son is now 17 months old and regularly asks me to help him with things, I respond lightly with ‘You try it?’ but he just points at me and says ‘you’ (meaning he wants me to), if I then dont he gets upset. Then I have feelings that come up such as ‘he wont feel like i am listening if i dont get it. sometimes i do offer a suggestion if he seems stuck. Today this scenario happened with a ball that had rolled under the sofa, in the end i suggested we walk around the back of the sofa and try to get it, which he did, so getting there. I do practise observation and if he seems stuck and asks for my input i do offer a suggestion, if he declines it I do offer to do it together. Any suggestions or input would be appreciated. Great post. Good suggestions. Of course–as you mention and as would be respectful to the child–if the child is not developing normally and is having difficulty doing what would be expected at their age (within reason), then we SHOULD help them. However, the way of helping needs to be mediated by someone who can help break down the tasks to what would be manageable for the child AND allow for increasing the speed of the development of whatever’s delayed, so that delays not grow larger with time. Normally developing children CAN and SHOULD be allowed to resolve their problems–like the beautiful example of the baby in the video: it was CLEAR that she was working, and to interrupt that would take away the opportunity as well as the conviction that she CAN. 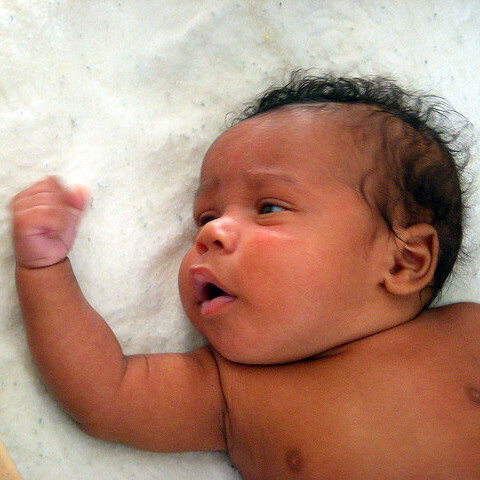 However, we do have to take into account that there are babied who are saddled with issues that further complicate their abilities, and we need to help them more–some babies will NOT move on their own without learning how to do so (or given the opportunity to learn in a more specific way how). 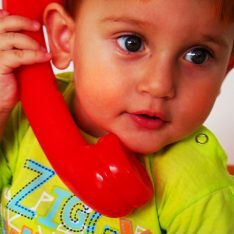 Just as with speech–most babies will learn to speak without therapy (magical, that is still to me after all these years!! ), but there are those who MUST get help, or they will not learn to speak, and will get more and more behind. The key is to be sensitive to the child’s needs and to recognize when we need to step in–and HOW we need to step in, and who we’re stepping in FOR (for us, so that we feel better…or for the child..). So for any parent who would read in this (though I know this is not what you’d meant!) that it is sufficient to give your kid time even if they are delayed–seeking help for the child and learning how to help them is not interfering with a child’s autonomy but helping them reach theirs more fully. Love the article and that blanket, is that a quilt u just laid her on!? As a speech language pathologist I must share that many of the recommendations made regarding language are completely unfounded. Parents please read up on RESEARCH based language learning strategies, before taking advice from anyone. I have a little 4 month old teether who since birth has been very happy playing on her own for the majority of her awake time. I would love to assist her through the teething process (her age means she has limited motor skills to pick up toys and chew them) without compromising this amazing independence she is demonstrating. I know it’s not a large sample size but I followed this with my second child (not my first as much) and now at almost 3 (his older brother is almost 5), the difference is staggering. Interesting, Claire! I’d love to hear more about that. I have 5 children 8 and under. I was great at this approach with my first four, but my 5th was born with detached retinas and I am at a loss as how to still do this. He has been very traumatized from 8 evaluations under anesthesia and 4 surgeries so far. He is just starting to be mobile, but gets very frustrated and won’t let me be away from him while he plays. The older kids don’t help because they instantly give him anything he drops! I know I need to do things differently with him, but I also have the major guilt of him struggling. It’s really hard! They thought he had cancer at a day old and our entire lives changed. I know this is good for him, but I’m not sure how to go about implementing a version of this for him? Great article, as usual, Janet! And wonderful video. We’ve just been discussing this – my daughter who now has a five-month-old, Hari and me…And Anna Tardos! You write: “…but no one that I know of besides Magda Gerber has ever provided a plan to help parents help their babies reap the many benefits of mastery.” Dr. Emmi Pikler, whose ideas are the basis of Magda’s approach, did just that. Not that many people know that in addition to running the Loczy Infants’ Home in Budapest where she applied her approach, she was a private pediatrician for about 100 families in the years prior to World War II. She taught the moms to do all that you write, even writing questions for them in notebooks and asking them to respond. Just FYI. And thought your readers would want to know.